Our product range includes a wide range of Garment Industry Lube such as Non-staining stitching oils, Silicone thread lubricants, Fusing machine belt cleaners, Stain removers, Specialty oils & greases, Machinery cleaners & Fabric softeners and Spray Adhesives. Texclean is non-flammable, non-hazardous product that is inherently biodegradeable and will remove all dust, dirt, fluff and other contaminants such as oil grease, waxes and silicones. 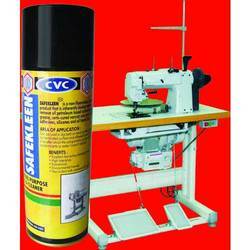 It is used for cleaning adhesives from Teflon / Rubber belts of continuous collar / cuff / belt-roll of Fusing machines. 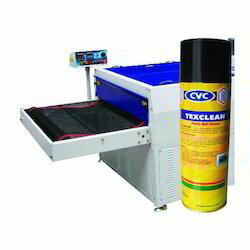 Spray on contaminated and dirty surfaces and allow it to work for a short time and wipe off the surface of components such as Cots and Aprons, Tops & Bottom rollers, Guide rollers of draw frames after which the components can be wiped off .i.e. Cots and Aprons, Top & Bottom rollers, Guide rollers of draw frames, speed frames, ring frames. It is anti-static, non-staining, non-sticky and quick drying. Removes all gummy and carbon deposits. Forms protective layer on rubber belts to prevent gummy deposits, starchy materials etc. from sticking directly on the belt. Extends fluff cleaning interval between lapping. Protects rubber belts from weathering effects. Stitchlube is a fully formulated synthetic stitching oil, specially designed for the lubrication of modern fast speed sewing machines such as Juki, Pegasus, Pfaff, Singer, Brother etc. It is water washable and lasts much longer than the conventional petroleum oils. Because of its low friction, it reduces power and increases the life of needles and components considerably. It is an Anti-static, non-staining oil and does not leave any carbon deposit. Any stains on the fabric / garment can be easily washed away with water or our Stain Remover Spray. Stitchlube is fully formulated synthetic stitching oil, specially designed for the lubrication of modern fast speed sewing machines such as Juki, Pegasus, Pfaff, Singer, Brother etc. A non-staining oil and self-cleaning oil. Having Antistatic and Antirust properties. 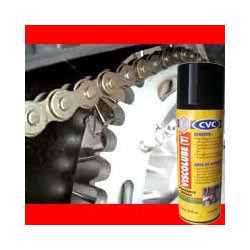 CVC SAFEKLEEN is a high performance, heavy duty general purpose de-greaser that is part of a new generation of cleaners, designed to replace the commonly used chlorinated high volatile solvents used in “Cold Cleaning” process. Can be used in dip bath or hand sprayed, sparingly on to contaminated surface and allowed to work for a short time after which the components can be wiped free of contaminants or water rinsed if desired. Conveyor bearings, chains, open gears, mixers, agitators, vertical guides, reciprocating parts, wire drawing, die casting, glass molding, punching, stamping, machining, dyeing and printing machines, dryers, evaporators, packing and filling machines, etc. 250-ml. & 550-ml. Aerosol can. SR-100 is a fast acting effective stain remover spray, which removes oil and grease spots from Cotton, Woolen, Rayon & Synthetic fabrics. Other grades available for removing Rust, Blood, Tea-Coffee stains. 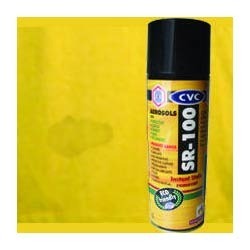 Spray CVC SR-100 directly on the oil spot and wet it thoroughly. Allow SR-100 to work for a few minutes on the spot till a dry patch appears. Tap the patch gently and shake off any residue from the spot area. Use steamer over the spot area till the spot disappears completely. Where steamer is not available, steam iron may be used repeatedly till the spot disappears. Removes oil and grease stains from fabric instantly. 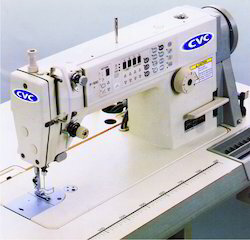 Looking for Textile Garment Industry ?